After paying homage to the Wieskirche, we left Steingaden and headed for Linderhof, another palace created by Ludwig II. 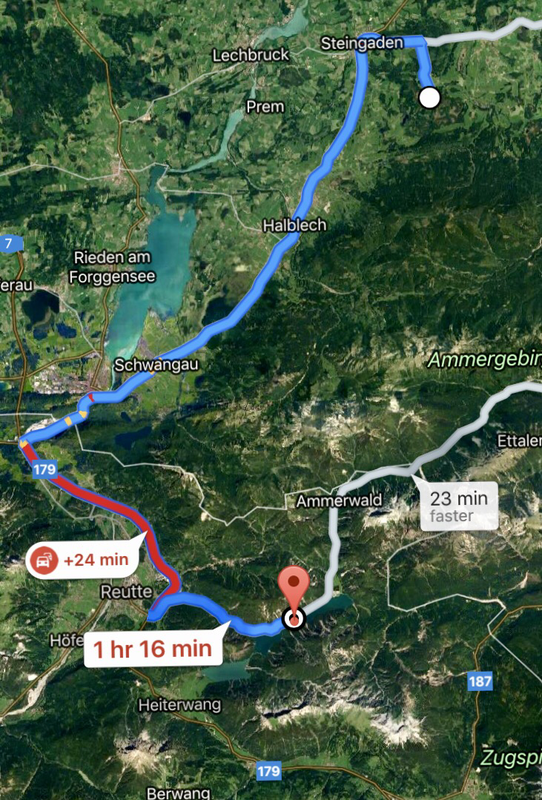 We were directed to take A17 and then 179 once we crossed the border between Germany and Austria. We could have gone an alternative route which would have taken us westward via A23 to the palace. 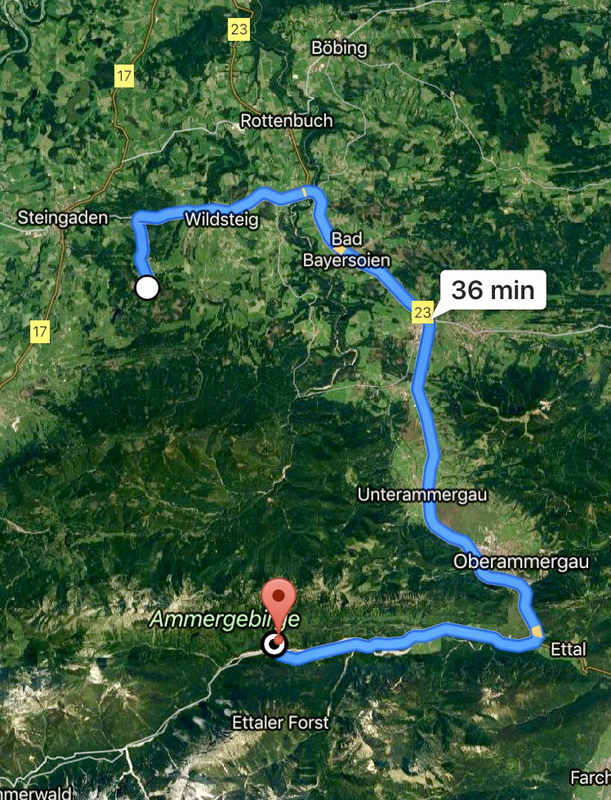 The journey would be shorter and faster through the Bavarian mountains and we would stay within Germany. It was so beautiful and I simply had to pull over and park the car as soon as I found a suitable lay-by. 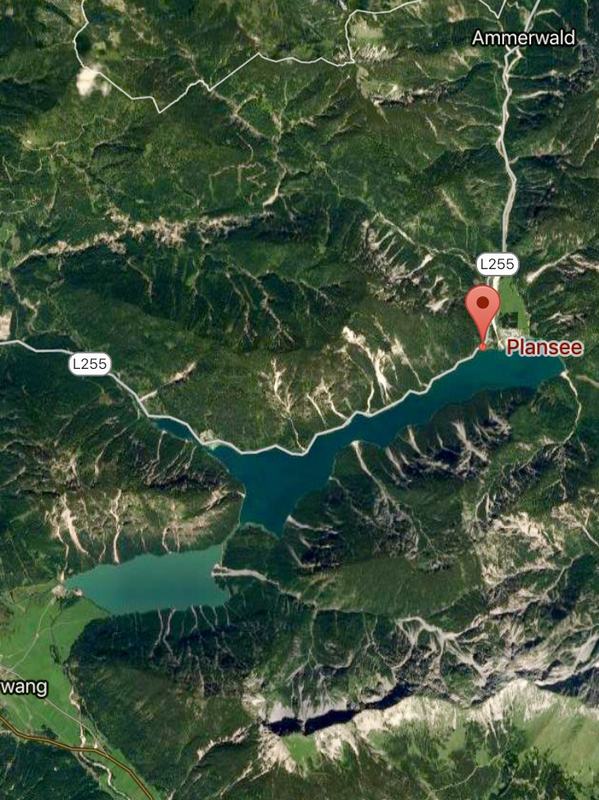 Lake Plansee was located in the district of Reutte, Austria. 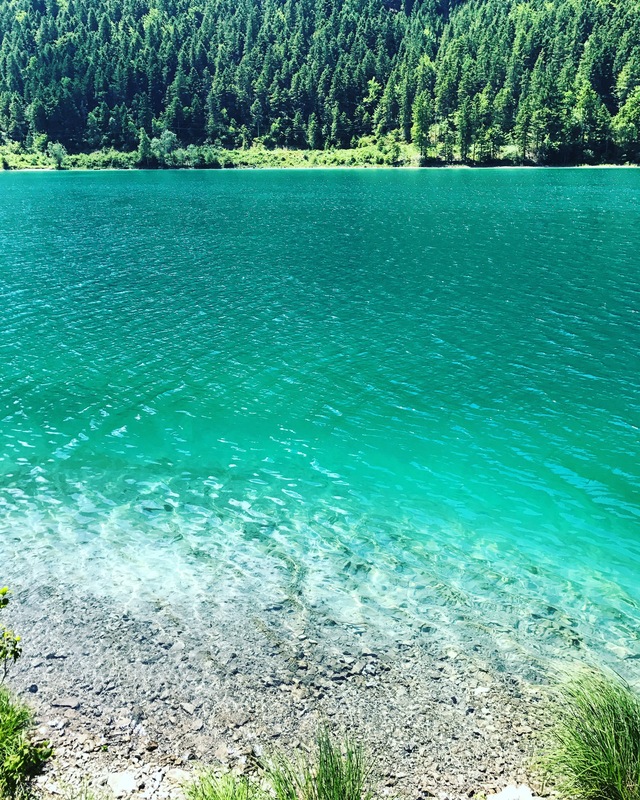 It comprises an area of 280 hectares and is the largest lake in Tyrol. The water quality was outstanding. It was clear and the colour was amazing. It was a breathtaking sight. How I envied that man on a boat! Floating on this heavenly beautiful water and chilling out. 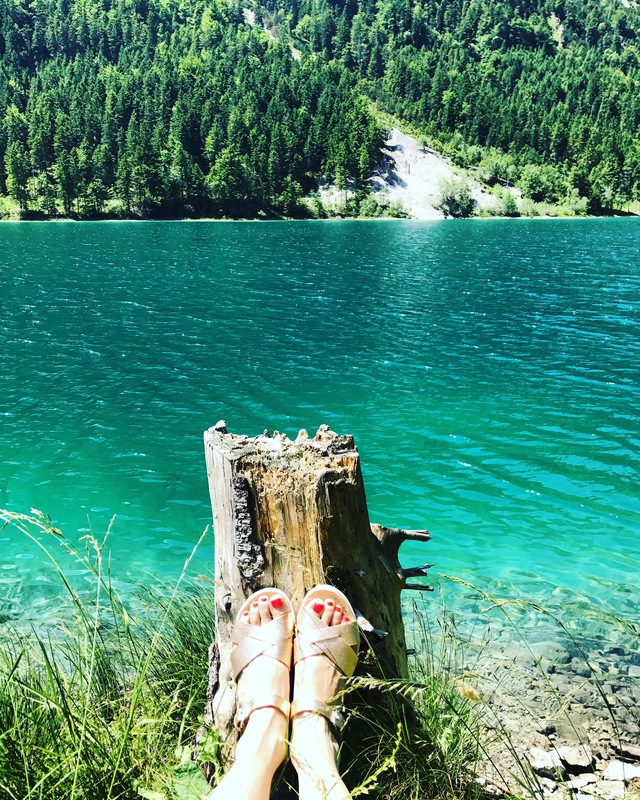 I would love to do a long “doing nothing” holiday by Lake Plansee too, I sighed. May be I should suggest it to Hubbie. Unfortunately, we must press on, mum. I shepherded her back to the car. We must to get to Linderhof before the place get as crowded as Neuschwanstein. Even though the visit was fleeting, we were very glad that we found the lake. 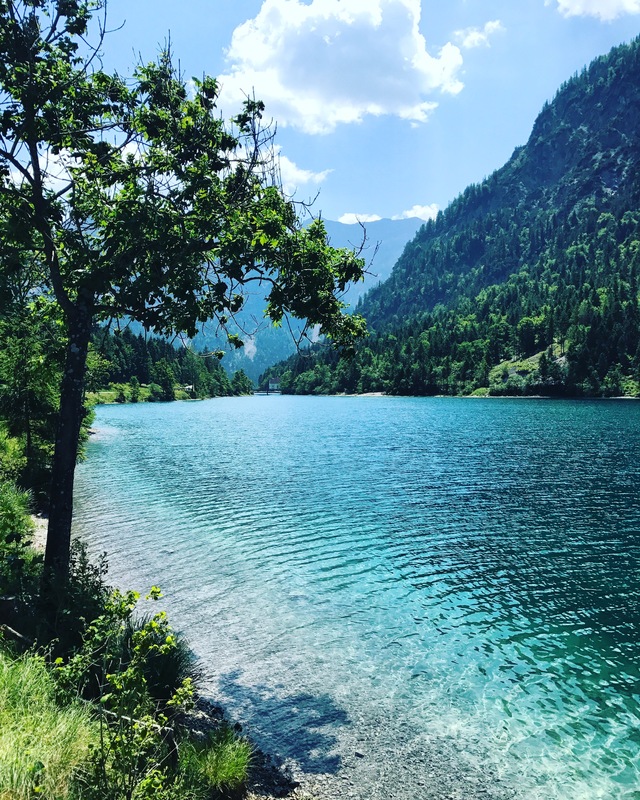 We would have missed this amazing place completely if we took another route. It was a pure luck that we saw this spellbinding sight. 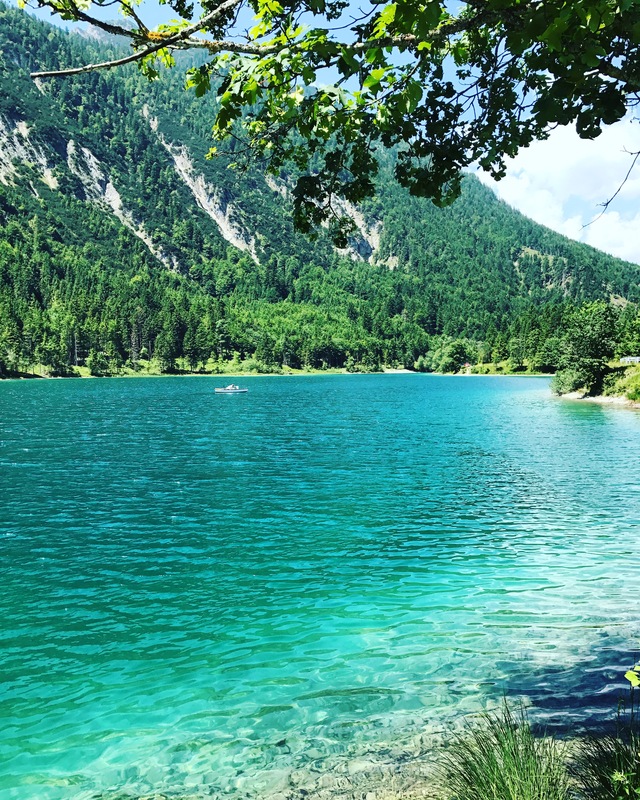 Everyone, don’t forget to visit Lake Plansee if you are travelling in Tirol!